As the summer comes to an end, most people winterize their boats, put them in storage, and prepare for hunting season. However, a select few still crave the feeling of seeing their rod tip go down. One guy that never gets sick of this feeling is Ranger Pro, Darrel Peters. Peters will always love fishing, but he loves watching his daughters catch fish even more. 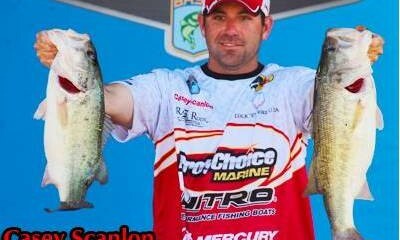 In his years of experience on the water, Peters realized that the fall months can be some of the best months to chase trophy fish. 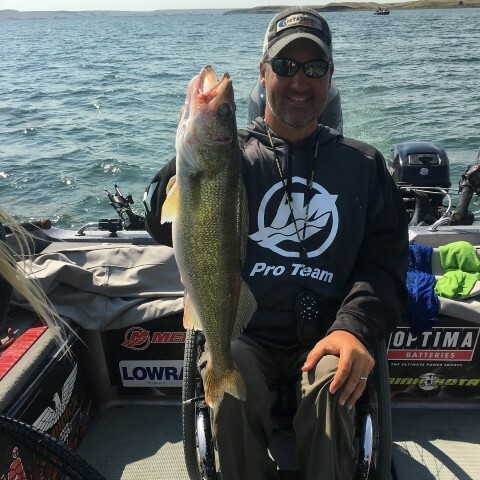 While the main focus is usually walleye, Peters also enjoys targeting other trophy fish such as salmon. 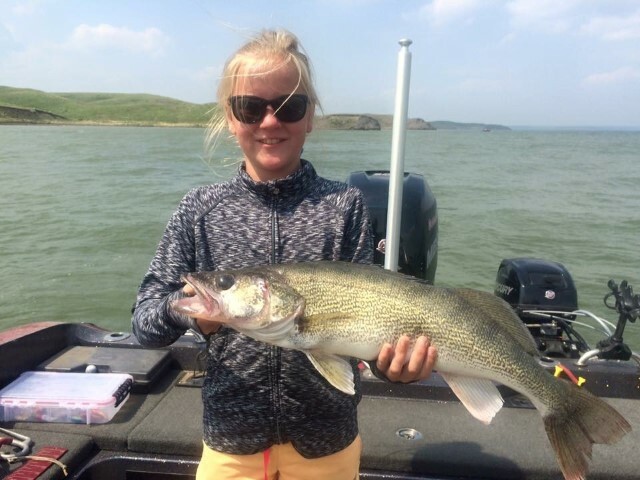 Once fall hits, Peters focuses on the waters around Gettysburg, SD in search of pre-spawning salmon and walleye. Peters has been following these patterns for the last couple years, but found the bulk of his success in 2012. According to Peters, the best time to hook into one of these monsters is mid-September through mid-October. 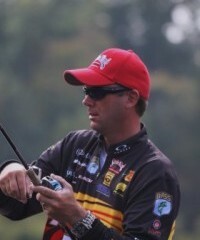 However, he has come to realize getting on a good bite can sometimes take all day resulting in long hours on the water. and baits, you can utilize the same types of tackle for both species. 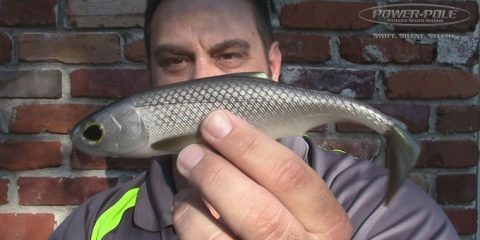 Tactics for catching these fish are also similar. At that time of the day, you can usually find success on a reaction bite such as trolling. Lowrance pro-staffer Cody Lauer says, “once you find a speed that works, you can usually target both species at the same speed.” However, it is important to note that current plays a role in the reaction approach. When going with the current, you may need to go a little faster in order to achieve the same action on the baits. It is important to have a game plan for targeting specific types of fish. When targeting salmon, Peters has found that working areas with long shorelines of structure seems to work the best. 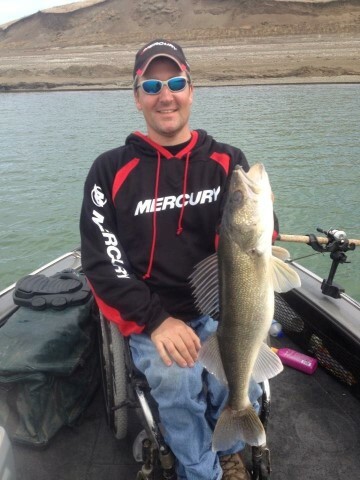 On the flip side, when targeting walleyes, he looks for longer points that merge with the river channel. Depth can vary depending on type of day and type of species. When targeting salmon, it is best to troll with anywhere from 50 to 150 feet of line behind the boat while utilizing no more than one ounce weights. Peters also likes to use flutter spoons while trolling behind the boat. If the spoons are not doing the trick, he will switch to crankbaits; one of his favorite baits being Rapala’s Deep Husky Jerk. When targeting the walleye in the same time of year, usually depth plays a factor. Walleye are usually at a depth between 25 to 40 feet of water. When trolling for walleye, Peters adds a little variety to his presentation. Typically, he will use longer, smelt style baits such as the Husky Jerk crankbaits or Bandits. If those are not working, Peters will break out Flicker Minnows, Flicker Shad, or Salmo Hornets. In order to achieve the appropriate depth, both Lauer and Peters will use up to 8-ounce weights, depending on the conditions. Color patterns also play a large role while targeting either species. Peters states, “using pinks and purples can be effective” and Lauer added, “if its white, its right.” At the end of the day, you have to find what is working and stick to those specific patters. Based on the statements from Peters, it does not take a large amount of equipment and tackle to find success while fishing in the early to mid-fall. All you need is some good, baseline tackle in order to have a successful, fall outing for multiple species. So, when you are preparing to close down shop for the season, try to remember there are endless opportunities to extend your fishing season and perhaps catch the fish of the year in the process.